Clyde Nantais received his Bachelor of Fine Arts Degree from the Boston Conservatory and his Master of Education Degree from Temple University in Philadelphia. A former dancer with the Boston Ballet, Mr. Nantais also taught at the Boston Ballet School for more than 15 years. He was also on the faculty of the Boston Conservatory and served for 2 years as the Principal Ballet Teacher for the National Institute of the Arts in Taipei, Taiwan. 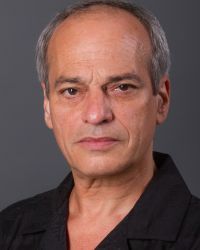 As a Ballet Master, teacher, choreographer and guest artist, Mr. Nantais has also worked with the Festival Ballet of Rhode Island, the Berkshire Ballet, the Ballet de Santo Domingo, the Ithaca Ballet, Ballet Arkansas, and the Pioneer Valley Ballet. Currently, Mr. Nantais is the Executive Director of the Boston Dance Company School and is Associate Director of the Dance Company. He is also on the faculty of Dean College.